where you can chat and share with people around the world using barcodes! 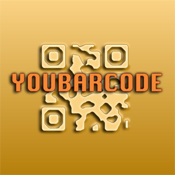 This application allows you to easily add friends by taking a photo to their personal barcode created by youbarcode! You can also send messages and read the conversations. Tap on a code message to reveal its meaning.